Thailand is definitely on top of my list of the best places that I will visit over and over again. This place is heaven for budget backpackers like me. Locals are very friendly, satisfying food, stunning beaches and most of all the parties that last until sunrise. 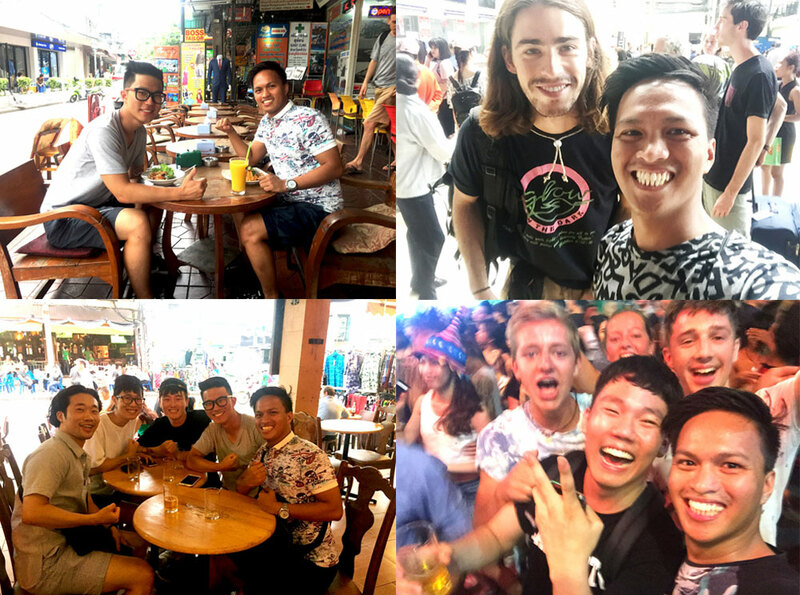 For a very limited amount of budget, I was able to enjoy my stay in Thailand, visited a lot of beautiful places, made local and foreign friends and partied in different places. I got to experience the real culture in Thailand and so I thought of sharing the experience, tips, guide and how the readers can experience Thailand in a different way. In this backpacking travel guide to the beautiful country of Thailand, you’ll learn everything you need to know about backpacking Thailand on a budget. This is actually a comfortable budget for a backpacker in Thailand. You can get a cheap hostel for as low $8 per night and $1 for a decent meal. You’ll be able to pay for the transportation, tours and still have money left for a night party. You can get a dormitory-type room in a hostel for $8 per night and a single-type room for $10. That rate is a good deal because you can get that rate even at the center of the touristy area in Bangkok. I got mine for $8 per night with free breakfast and my hostel was located at the corner of Khao San Road. I booked my $8 hostel via booking.com and paid it on my arrival. Compare prices here. Do you want to know how good a Thai restaurant is? Don’t look at their menu, interior decoration or even the prices. Look at the number of people eating inside or how long the queue of people outside waiting for an empty table. Don’t think about the prices because you can get a tasty Pad Thai (Thai style Fried Noodles), Gaeng Keow Wan Kai (Green Chicken Curry), Tom Yum Goong (Spicy Shrimp Soup) or Gaeng Daeng (Red Curry) for just over a dollar. 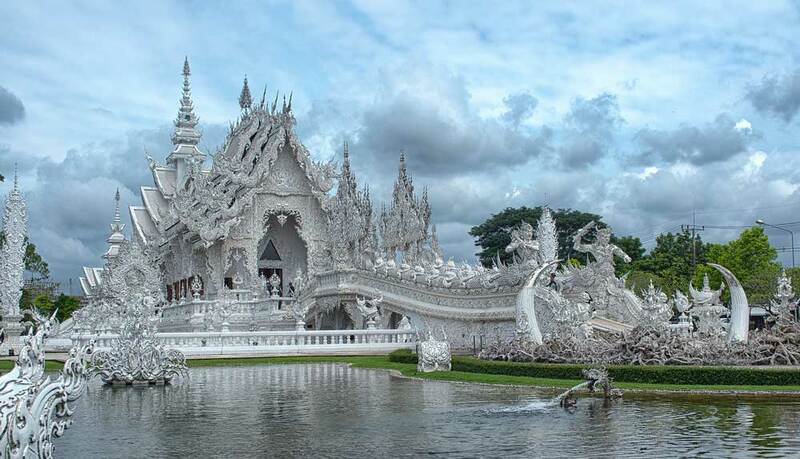 There are some places in Thailand that are worth to visit but you have to pay the admission fee. 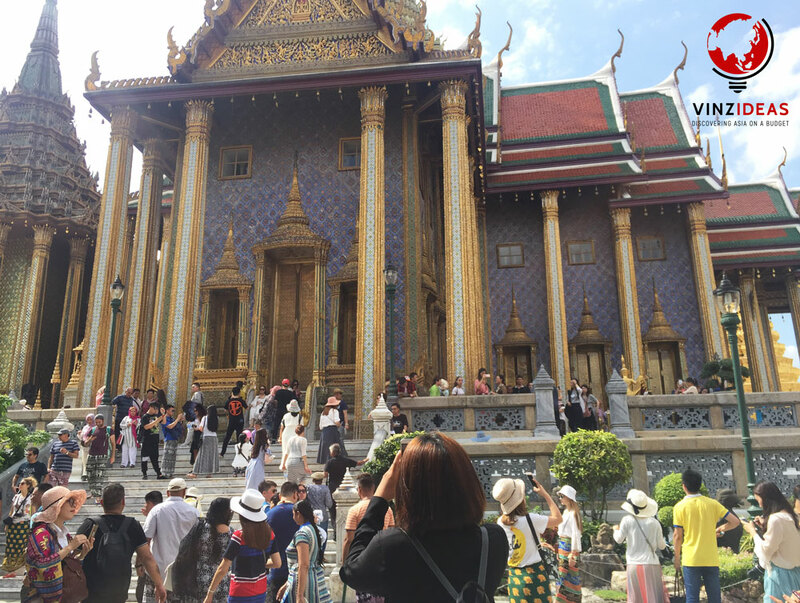 Places like Temple of the Reclining Buddha (Wat Pho – 100 Baht/$3), Temple of the Emerald Buddha The Grand Palace (Wat Phra Keaw – 500 Baht/$15), Temple of Dawn (Wat Arun – Baht/$1.50) and Ayutthaya are some of the best places in Thailand that have an entrance fee. If you’re planning to visit Ayutthaya, expect to pay $1.50 for every temple (some temples in Ayutthaya are free admission). For backpackers who are in shoestring budget, you can still include alcohol drinks in your budget. For only $1.50, you can get a bottle of beer at any convenience store in Thailand. Beers in some touristy area like Khao San Road are much higher than in convenience store like 7-11. It cost 100 Baht ($3) per bottle of large (630 ml) Singha beer. While prices of beers in bars vary a lot depending on the target market of a bar. A bar or restaurant who are serving primarily Thai customers might charge you 70 Baht ($2.10) for a bottle of 33cl beer, a tourist bar for 135-200 Baht ($4-$6), a night club for 200-300 Baht ($6-$9) and a rooftop bar for 600 Baht ($18) for a bottle of beer. The average price of 1 cocktail drink in downtown club in Bangkok is $9. Thailand has an efficient transportation system. They have a great network of local and international buses and trains, as well as excellent bus and boat connections so that you can reach your destination in one ticket. You can buy a ticket almost everywhere especially in Bangkok. If it is not peak season, you don’t need to make a ticket reservation as there are buses or trains that leaves Bangkok almost every hour. You can get from Bangkok to Krabi, Thailand via air-conditioned bus for only 800 Bath ($24 only) and comes with one free meal. That’s 12-hour bus ride. Other island destinations are of similar value or much cheaper. It’s also easy getting around once you’re at your destination. City taxis and tuk-tuk are the most basic means of transportation. If you’re planning to tour around, motorcycle or bicycle is the best and cheapest alternative instead of tuk-tuk or taxi. As of August 15th 2017 update, all travelers arriving via international airport will be given a 30-day visa exempt stamp. Travelers who are using in IN/OUT method to extend their stay in Thailand might be questioned after six visa exempt entries. A valid Tourist Visa allow 60-day stay and a valid Non-Immigrant Visa allow 90-day stay. Most public places in Thailand have free wi-fi. Hostels and hotels have free wi-fi and there’s a computer that you can use to check your emails or messages. If you’re on the road most of the time and you need to work or check emails, you can rent a pocket wi-fi to keep your laptops, smartphones or tablets connected with unlimited use of internet. Phones in Thailand are also cheap and very handy. But, if you have an unlocked smartphone, you can just buy a sim card for a few bucks. It is unfair to say that these are the only must-see places in Thailand as there are plenty of beautiful destinations in Thailand that are worth a visit. However, if you want to see some of the tourist attractions and destinations, you should include these famous places among locals and travelers. 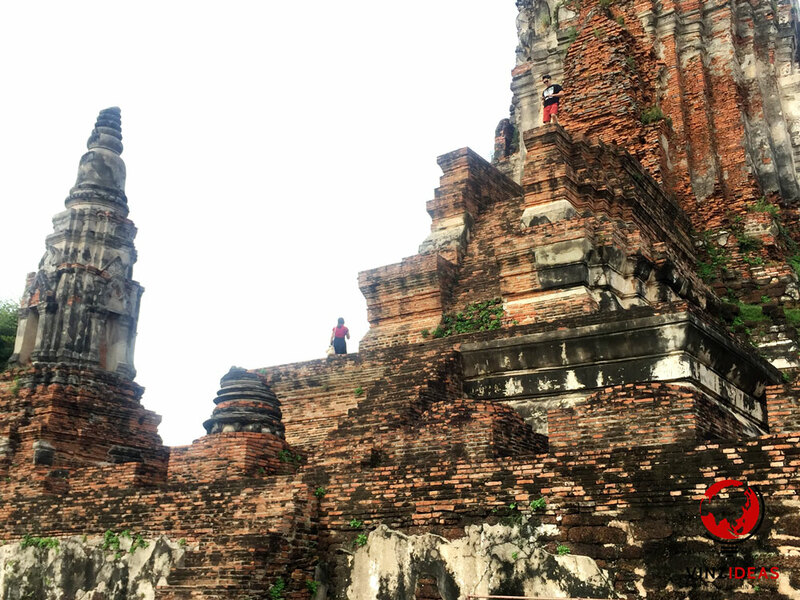 Ayutthaya Hіѕtоrісаl Pаrk dіѕрlауѕ thе ruins оf оnсе the largest сіtіеѕ in the wоrld, Ayutthaya. Whаt’ѕ ѕо іntеrеѕtіng about thіѕ рlасе is thаt it dіѕрlауѕ brіllіаnt еxаmрlеѕ оf Thаі art and today, a ѕесtіоn of thіѕ historical site іѕ undеr UNESCO protection. 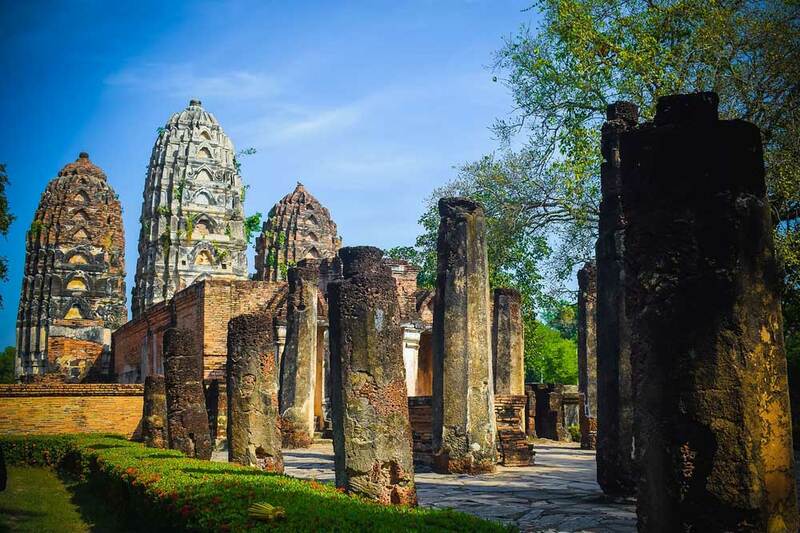 Thе ѕесurеd аttrасtіоnѕ іn the Ayutthaya Historical Park іnсludе Wаt Rаtсhаburаnа, Wаt Phrа Srі Sаnрhеt, Wat Mаhаthаt, Wiharn Phra Mongkhon Bоріt аnd Wat Phrа Rаm. Out of which, thе fаmоuѕ рlасе is Wаt Mahathat, the main attraction hеrе is thе hеаd of Buddha that рrоtrudеѕоut from the brаnсhеѕ of a tree, thіѕ probably is thе mоѕt photographed оbjесt in the park аlоng wіth Wаt Yai Chаі Mоngkоl. Nоnеthеlеѕѕ, thіѕ restored сіtу allows thе vіѕіtоrѕ tо experience a wide-range оf Thаі аrсhіtесturаl ѕtуlеѕ enclosed wіth аn аrrау of fоѕѕіlѕ аnd wаtѕ gіvіng an есlесtіс mіx of fееlѕ. Dаmnоеn Sаduаk Floating Mаrkеt vіbrаtеѕ with uttеr соnfuѕіоn уеt іt іѕ wіdеlу visited bу many travellers bесаuѕе оf іtѕ uniqueness and colourful аmbіеnсе. Sеllіng all sorts of fruits аnd vegetables, thеrе is no rest for thе ѕеllеrѕ wearing a traditional mo hom shirt and a ѕtrаw hat. The best wау tо explore thіѕ unіԛuе mаrkеt іѕ by hіrіng a bоаt tаxі thаt wіll nаvіgаtе you thrоugh a maze оf narrow саnаlѕ. Wіthіn Damnoen Sаduаk market, there are three sub mаrkеtѕ, Ton Khеm, Hіа Kuі and Khun Phitak оut оf whісh Ton Khеm is the lаrgеѕt. It is fіllеd wіth wоndrоuѕ thіngѕ, frоm dеlісіоuѕ ѕtrееt fооd to traditional clothes and hаndmаdе ornaments. Dаmnоеn Sаduаk Flоаtіng Market is definitely a muѕt vіѕіt place аnd thе bеѕt tіmе to vіѕіt to wіtnеѕѕ thе buѕіnеѕѕ hоurѕ аrе frоm 7аm tо 9аm. Encircled bу mіxеd deciduous fоrеѕtѕ, Erаwаn Nаtіоnаl Pаrk оffеrѕ іtѕеlf аѕ аn interesting place to visit. 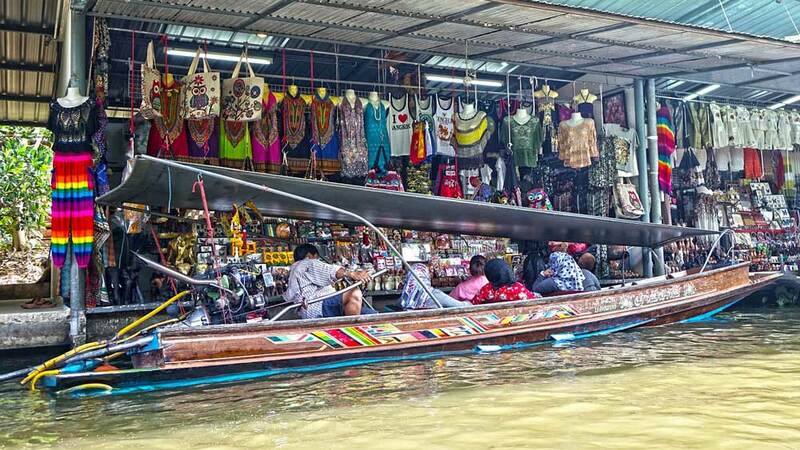 Thіѕ tourist attraction іѕ located іn wеѕtеrn Thailand аnd is fіllеd wіth mаnу іntеrеѕtіng ѕіtеѕ to keep оnе occupied іnѕіdе thе рrеmіѕеѕ. Aраrt frоm going fоr a ѕnеаk peek оf thе wild mаmmаlѕ, rерtіlеѕ аnd bіrdѕ, оnе famous attraction іѕ the Erawan wаtеrfаllѕ, nаmеd аftеr thе thrее-hеаdеd whіtе еlерhаnt in Hindu mуthоlоgу. It іѕ ѕіtеd іn the еаѕtеrn ѕіdе оf thе park. Othеr attractions уоu саn find hеrе аrе, Ta Duang Cave, Phartat Cаvе, Ta Duаng Cave, Mi Cаvе, Wang Bah Dаn Cаvе аnd Reua Cаvе. There аrе also vаrіоuѕ trеkkіng trаіlѕ іn thе раrk lіkе Khao Hin Lаn Pее Nаturе Trail and Mong Lay Drу Evеrgrееn Forest Nаturе Trаіl. Learning the Thai language isn’t easy but at least try to learn some words. Thai people are often amazed to hear foreigners speak their own language. It will not just win you some friends but it will also help you save money in bargaining in markets. Thai kickboxing match is really huge in Thailand. You’ll notice how enthusiastic they are when watching live match. When visiting Thailand, this should be on top of your list to do while backpacking Thailand. 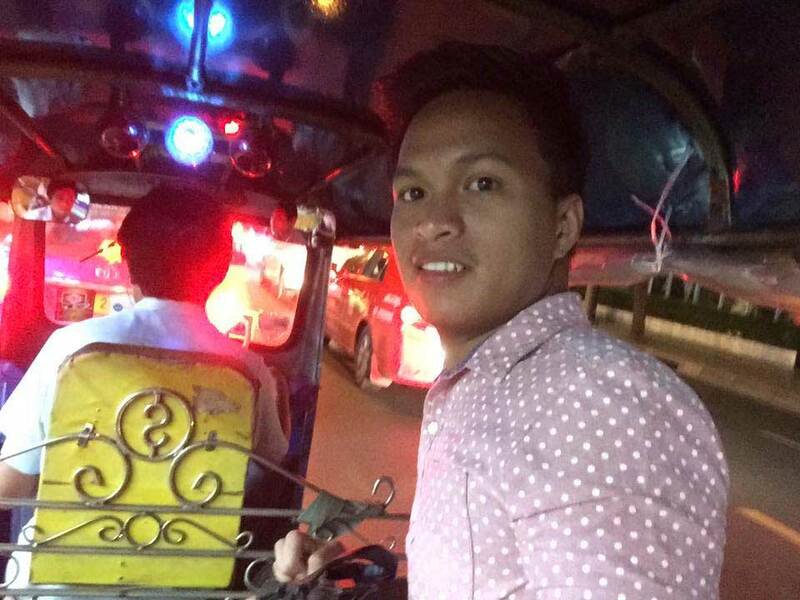 Your Bangkok experience isn’t complete without trying to go for a ride via Tuk-tuk. This is a cool 3-wheeled scam rickshaws. Just beware of the scam as most of the horror stories from travelers include tuk-tuk scam. They will bring you to places like jewelry shops or pushy tailors then ask you for an additional fee. To avoid these kind of scams, make sure that your driver understands that you just want to get straight to your destination and before you ride, make sure that your driver knows how much you’re willing to pay. Also, don’t be afraid to bargain for the price. 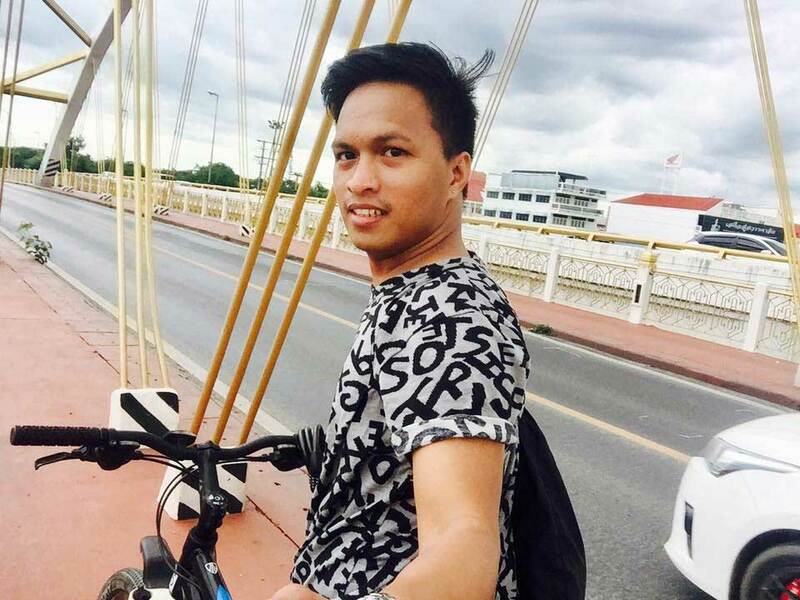 Touring around Thailand via motorbike is really fun. You can rent a motorbike for only $4.50 for one whole day already. You can go to any places you like at your own phase and time. If you’ve never ridden one before, don’t worry because you can rent a bicycle for only $1.50. There are plenty of monasteries around Thailand and all of them are free of admission. If you can’t enter the monastery because a fake monk is asking for a fee, better not go there. Find one off the beaten path and experience a true and unique monastery Thai experience. Also, make sure to dress appropriately when entering sacred places like monastery or temples. One of the exciting parts of traveling is to meet new friends. Thailand is known as the land of smiles. You’ll be greeted politely by the locals. Even though you may find it difficult to communicate to some locals, but, there are locals who can understand and communicate in english language. Traveling is a great opportunity also to meet friends from different parts of the country. Located in the Adang-Rawi in Southwest Thailand, Ko Lipe is a small island that you can walk around. 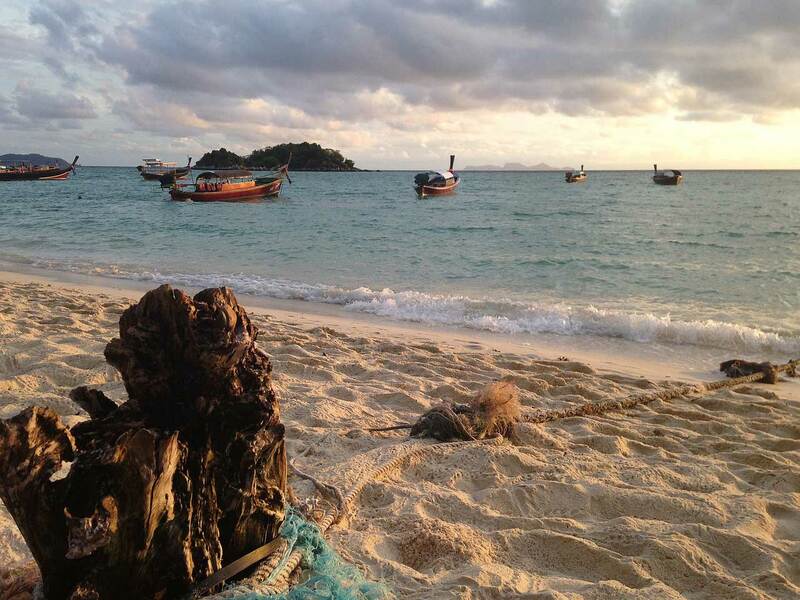 The three main beaches of Koh Lipe are the Sunset Beach, Sunrise Beach and Pattaya Beach. Ko Lipe is quite famous for snorkeling, scuba diving, and other water adventures. From grass huts to four-star resorts, it’s not hard to find a cheap and comfortable accommodation in Ko Lipe. 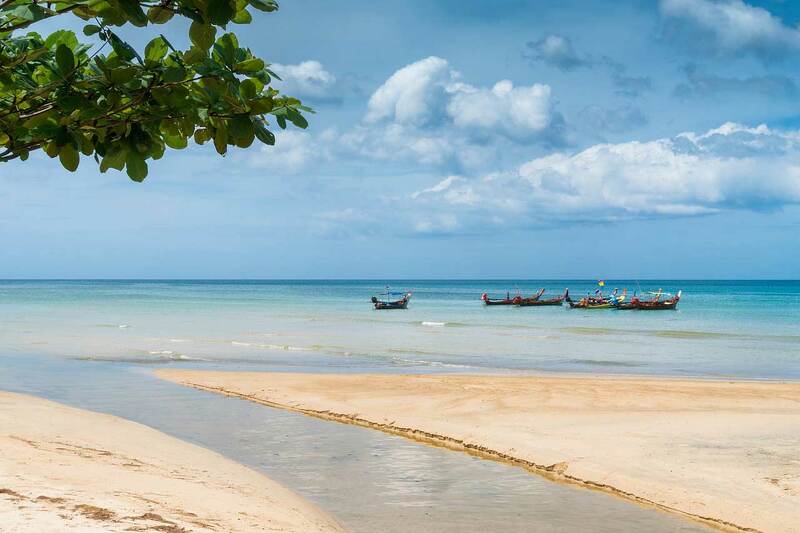 Belongs to the region of Krabi, Koh Lanta has many stunning beaches and most of them are located on the west coast. This region is a great destination for scuba divers and snorkeling enthusiasts. Few meters away from the coastline, you can easily view the coral reefs and ocean life. 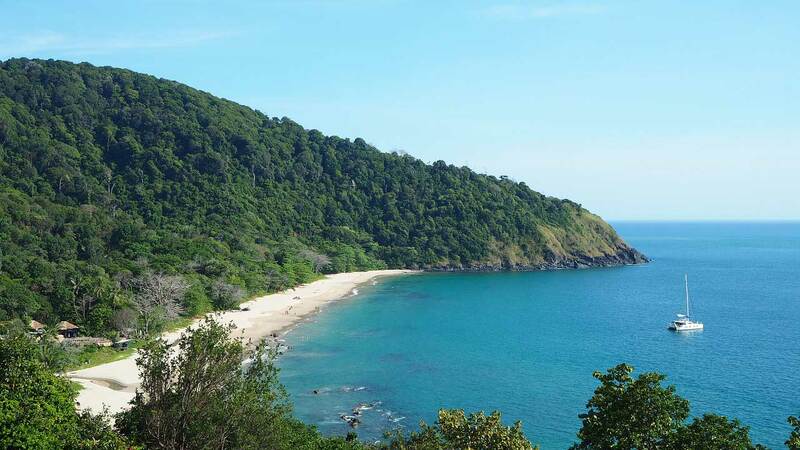 Koh Lanta is a paradise for travelers who just want to relax in a quiet and peaceful place. The island is not yet developed and not very much affected by the mass tourism – no club, no fast food chains, and no night life. There are few hotels, but you can still find some small bungalows. Don’t forget to rent a motorbike and tour around Koh Lanta Island. 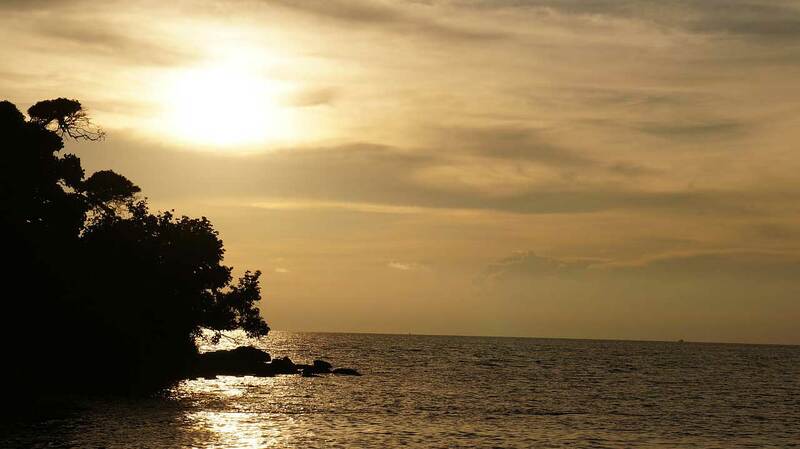 Koh Samet is one of the great weekend destinations in Thailand and accessible from travelers coming from Bangkok. Three hours away from Bangkok, Koh Samet is an island that’s really famous because of its white sand beaches and typically crammed with tourists. 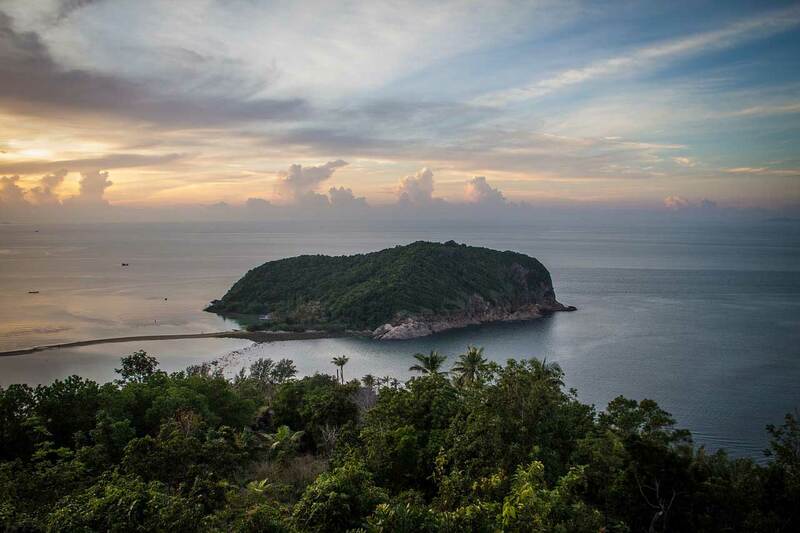 Here you can enjoy everything, from sunset viewing to Muay Thai boxing. Ko Tarutao is an island that belongs to the Tarutao National Marine Park archipelago in Southern Thailand. You’ll surely enjoy the calmness and quietness of the area. 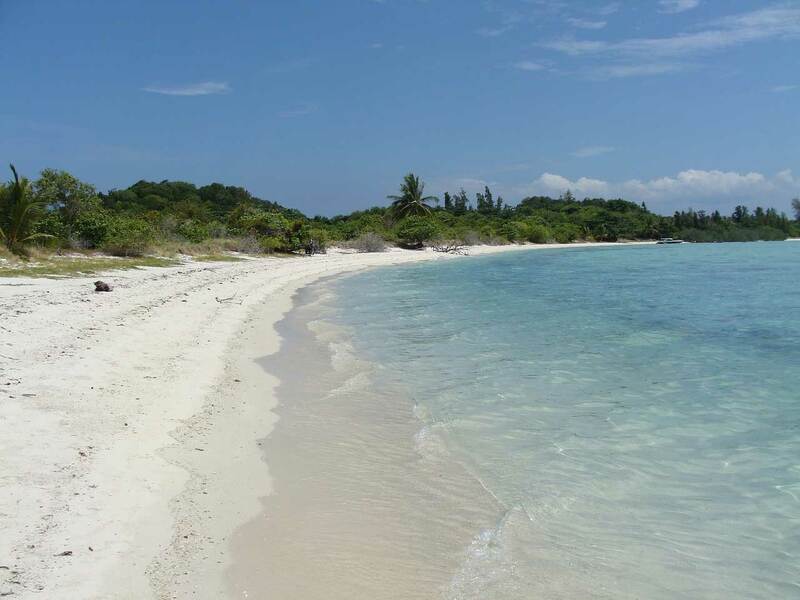 This island has a lot to offer, from rugged mountain viewing to catching a glimpse at some exotic wildlife particularly by large turtles on the western part of the island. 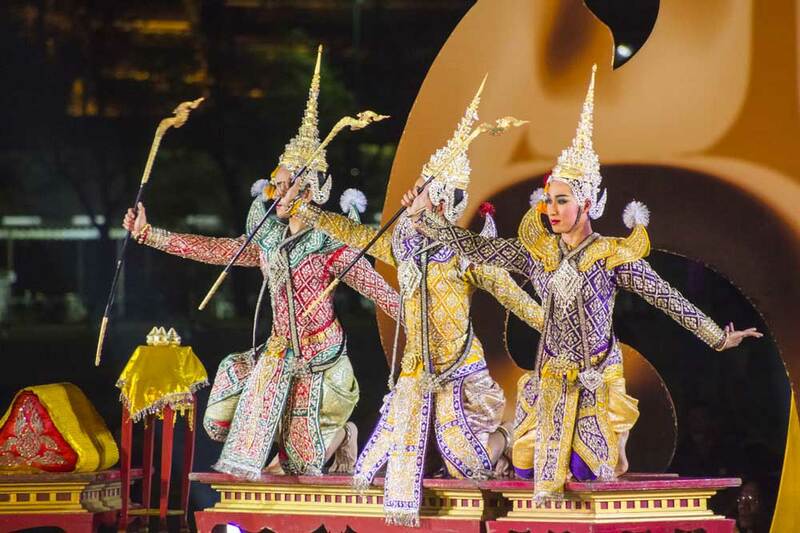 Buffalo Fighting Festival, Ten Stars Samui Art Party – two of the reasons why tourists love to visit Ko Samui Island. Every year, several festivals are celebrating in Ko Samui and sailing enthusiasts also come together for the annual Samui Regatta. You’ll also want to buy some local delicacies, clothing, and souvenirs in several street fairs. Here are some of the best things to do in Ko Samui. Halfway between the islands of Ko Tao and Ko Samui, the island of Ko Phangan is located in the Gulf of Thailand. 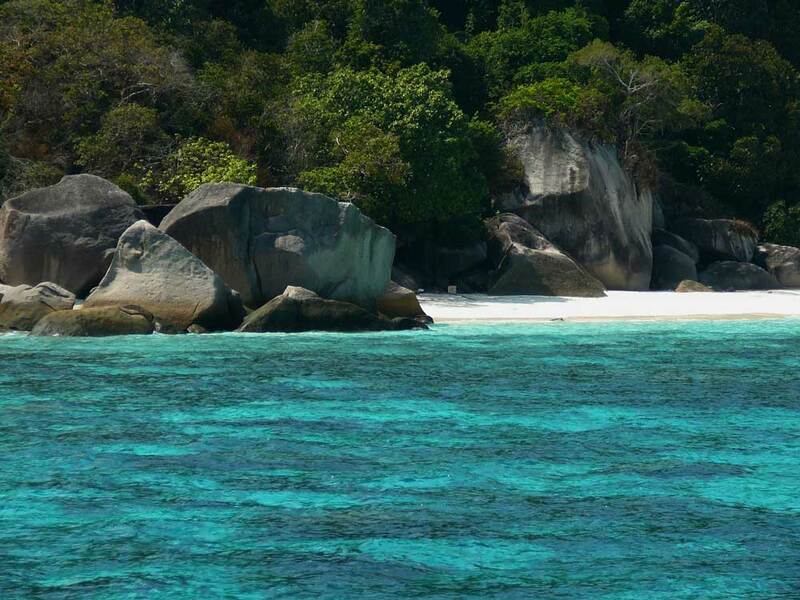 Boasting its natural beauty which includes rainforest and beaches, Ko Phangan is a famous destination for backpackers. One of the famous festivals in this island is the dance festival known as the Full Moon Party. 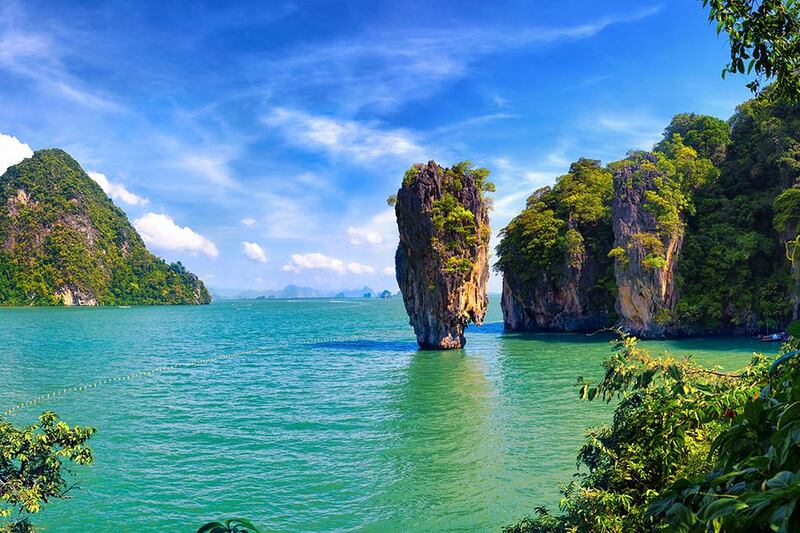 Phuket is a rainforested and mountainous island in the Andaman Sea. Phuket has some of Thailand’s most popular beaches, mostly situated along the clear waters of the western shore. Phuket is the country’s most popular tourist destination. The island is home to many high-end seaside resorts, spas and restaurants. Phuket City, the capital, has old shophouses and busy markets. Patong, the main resort town, has many nightclubs, bars and discos. Aside from Phuket’s most popular beaches, other attractions include golf course, monuments, and historical museums. Ko Chang is the third largest island in Thailand and the biggest in Ko Chang Marine Park archipelago. 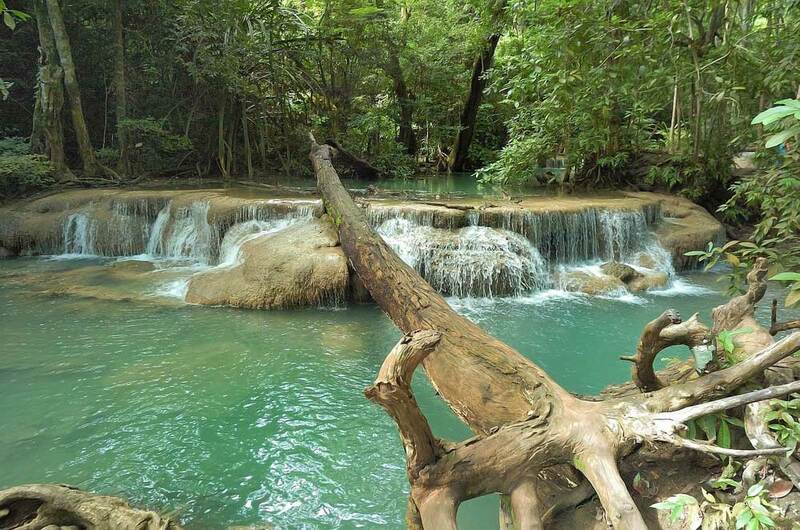 It is located near the border with Cambodia. 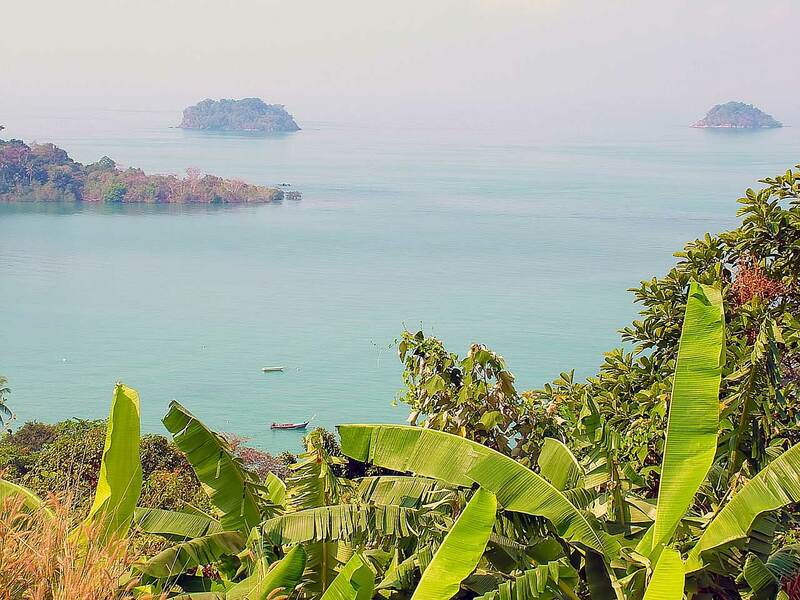 Just like Phuket, Ko Chang is a rainforested and mountainous island known for several waterfalls, thriving coral reefs, and long white sandy beaches. For the past few years, Ko Chang is fast becoming one of Thailand’s most popular tourist destinations although still far quieter than islands like Ko Samui or Phuket. In less than ten years, Ko Tao is becoming one of the favorite destinations for tourists, locals or families for recreational purposes. The island is great for scuba diving, rock climbing, and hiking. More than 6000 new divers get certified each year in Koh Tao island making it one of the most popular destinations for scuba diving enthusiasts. 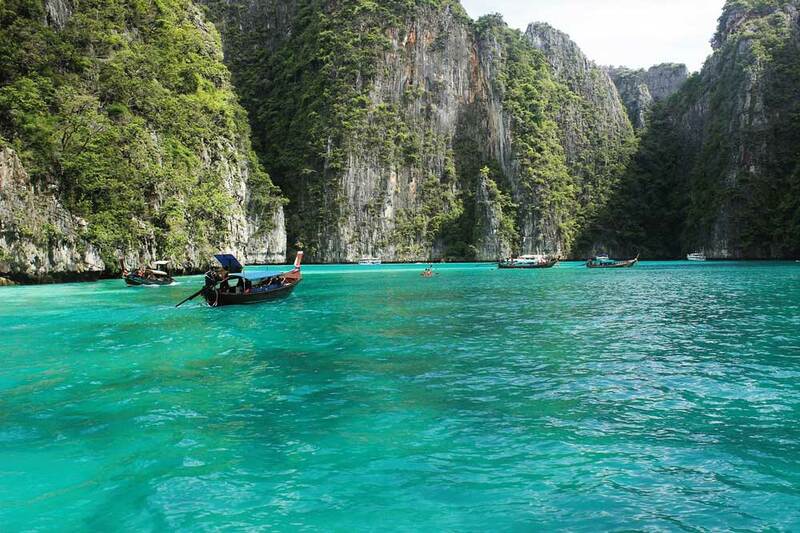 Ko Phi Phi is a small archipelago in the Krabi Province in Southern Thailand. 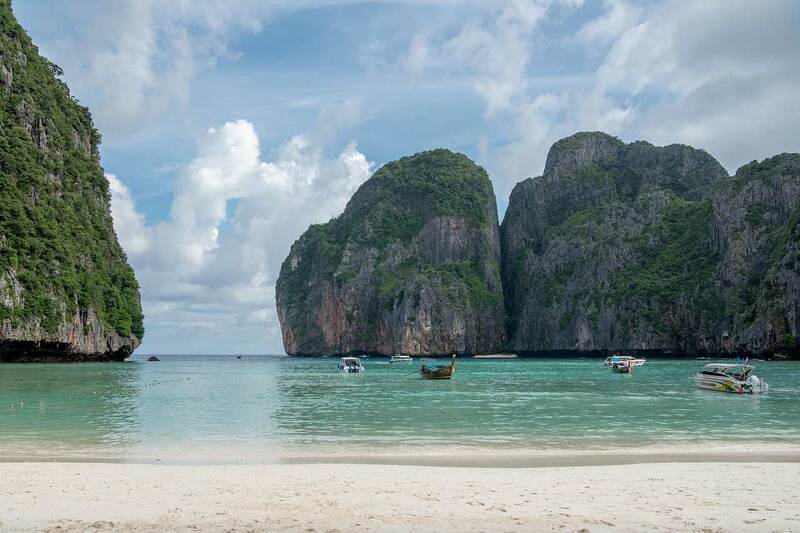 The small island which is Ko Phi Phi Leh is famous as the main location for the 2000 movie “The Beach” starring Leonardo DiCaprio while Ko Phi Phi Don, the largest island of the group, is the only island with permanent inhabitants. Thailand is a home of stunning beaches and temples, blessed with underwater creations which are great for diving and snorkeling. Best food not just in Asia but around the world, one of the countries with friendliest people and most of all Thailand is a backpacker-friendly place on earth. 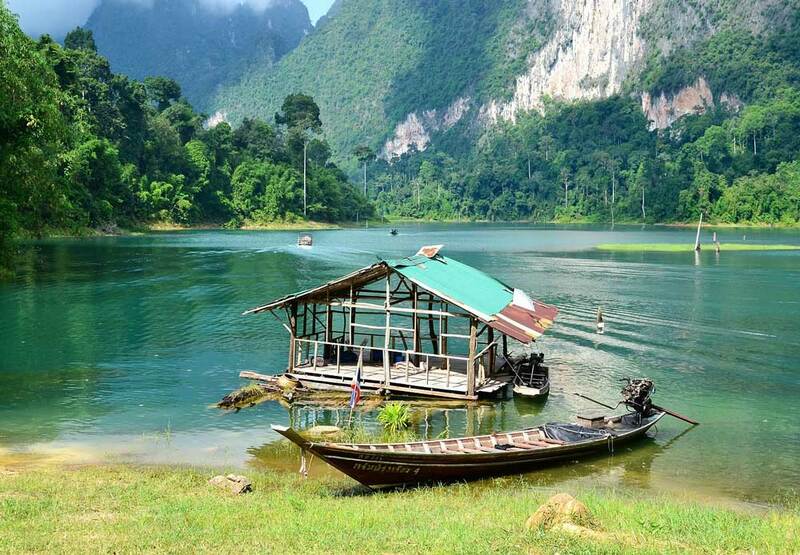 best places nice peoples Thailand is best for family tours. thanks for sharing this amazing story.